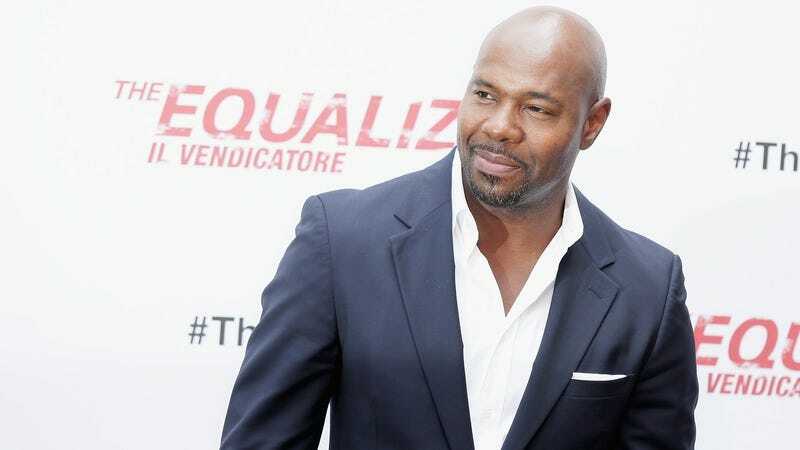 Equalizer and Training Day director Antoine Fuqua might be moving from big screen directing into small screen producing, with news breaking today that he’s in talks with The Weinstein Company to executive produce a TV adaptation of Andy McNab’s Nick Stone books. McNab’s long-running thriller franchise centers on a former soldier and freelance military operator who must balance his clandestine work with a complicated personal life, in a setup that Deadline describes as a kind of cross between the BBC One cop drama Luther and Tom Clancy’s Jack Ryan books. Of course, dabbling in TV doesn’t mean Fuqua is abandoning his film career. His most recent movie, Southpaw, is set to debut on July 24, and he’s currently at work on an adaptation of The Magnificent Seven with his favorite leading man, Denzel Washington, as well as Jurassic World’s Chris Pratt.